Columbus artist Correy Parks was named on our artists to watch list earlier this year and he hasn’t given us a single reason to stop watching. After The Layover EP, some great visuals, and a few live performances, the Lock and Key frontman is back and raising standards for a lot of rappers. 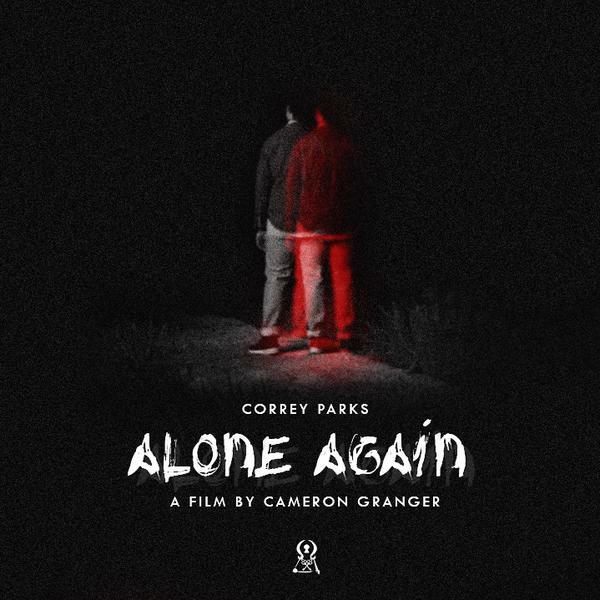 This week, Correy and another one of our favorite artists, director Cameron Granger, revealed the trailer for their impending short film entitled Alone Again. The track is from his last EP but rather than giving it a music video treatment, in true Correy Parks style, he goes above and beyond to bring the song to life. In the film trailer below, Cameron takes us on the journey of Correy losing his job and dealing with the many trials that follow it. While we wait for the film to release and Correy Parks’ new project entitled Seoul Sabbatical, we have a great series of Correy Parks songs with artwork by hafandhaf premiering on Ohio Streets every Friday. First up is “Social Networth”, a touching song that Correy opens by pouring his passionate vocals out, digging deep into behaviors and habits that many of us tend to overlook. He exhibits a few of his many styles of rapping and singing, proving once again that he’s bringing something special to Ohio’s music scene. Listen to “Social Networth” here and read our interview with Correy Parks about this song, Lost Luggage, and more below. 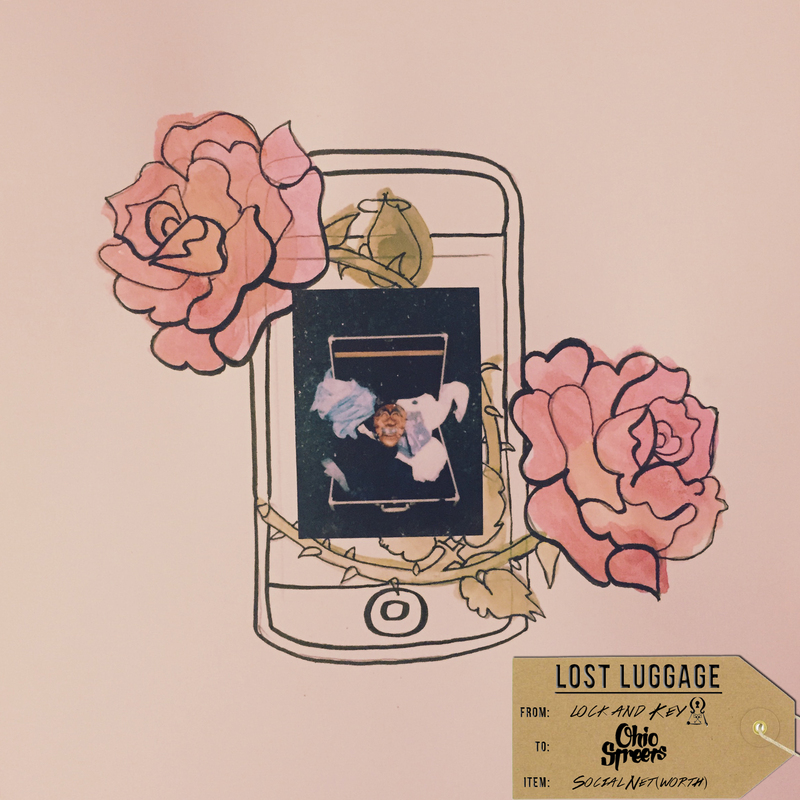 VANICE ALEXANDER: Why did you decide to call this series of tracks Lost Luggage? 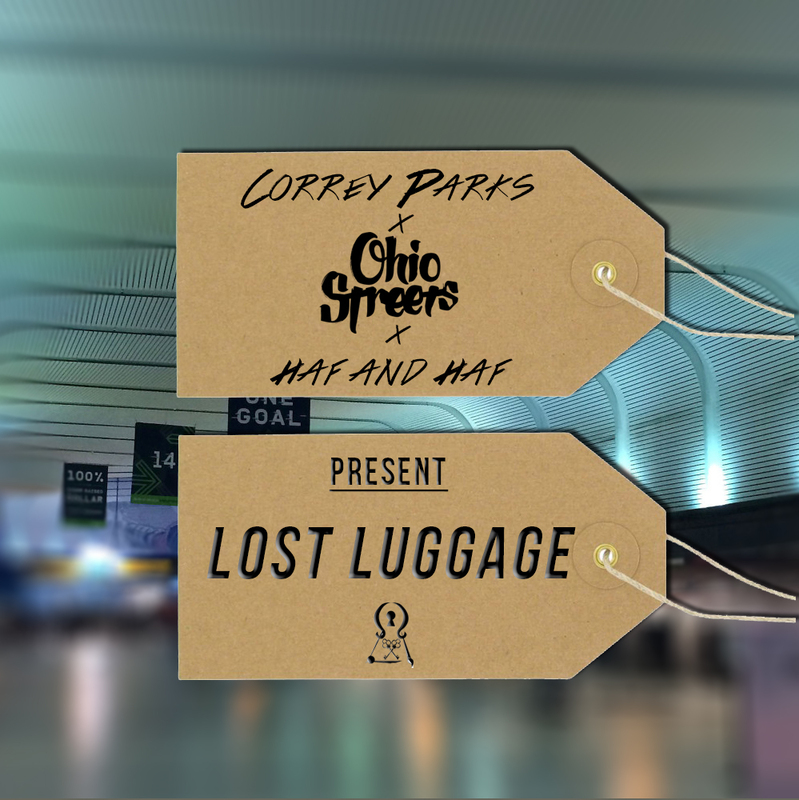 CORREY PARKS: Lost Luggage represents the releasing of negative or outdated baggage before taking a journey. Essentially, they were songs that for one reason or another didn’t fit the mind set or theme of Seoul Sabbatical. So it symbolically represents the releasing of this negative energy before embarking on something bigger. This first song, “Social Networth”, touches on a lot of relevant issues dealing with love and acceptance for our generation, how did this track come about? “Social Networth” was a song I initially wrote for my first project The Layover EP. I didn’t feel confident at the time in my voice so it was shelved until recently. But it’s basically my take on our generations’ relationship with technology, social media, and its reflection of us. I think a lot of us have gained dependency on our online personas, because there’s a lack of true meaningful interaction going on between us, trickling down to one of our most core interactions: intimate relationships. So we have men and women who are seemingly dating and getting intimate with their phones to satiate their desires for happiness and partnership, because of men and women who are afraid to facilitate meaningful bonds of trust and growth with others, creating a cycle. So instead of us discovering who we are, who we kick it with, who we decide to share that higher connection with, and how that effects us mentally and spiritually, we tend to take the route of least resistance and instant gratification. And its lead to this weird juxtaposition of being hyper connected – yet seemingly more detached. But I have hope we can get back to real relationships with people, and still be hand in hand with technology. Do you face any challenges with social media/networking? My ideals on social networking have changed a great deal over the past few months. While I find comfort in both, I tend to identify more with being an introvert. So it’s hard for me to share too much personal detail of my day to day, and I also don’t like to post for the sake of posting. So in this day in age I see so many people in my field with such a strong social media presence, that it used to worry me I wasn’t active enough. But I realized like any tool, it’s only as powerful as the person wielding it. I recognized that the followers you want are those who are truly interested in your content, so focus on them and provide meaningful stuff. But every now and then it’s important to let your guard down and let them connect to your spontaneous side too. This series is filled with thought provoking lyrics. What do you want people to take away from Lost Luggage? Above all else I want people to understand that our ideas about society and how things are supposed to be, should be and are constantly changing. Never base your life off of ideals that you yourself haven’t thoroughly thought through and find acceptance with. And even when you do find acceptance, still always be questioning, because life is ever changing and growth begets growth. And that is one of the most important things we need in this universe. A lot of my ideals have changed since recording these songs, for instance I think there’s a bit of a patriarchal skew to Social Networth, which is partly why it didn’t make the main project. But it’s equally important to show where you’ve come, along with where you want to be. What else do you have in the works besides Lost Luggage? Seoul Sabbatical is currently my main focus, and we’re aiming for a Fall drop. I have another visual premiering very soon for the track “Alone Again” off of the Layover EP, directed by my very talented homie Cam Granger. Also have a lot of cool collaboration projects with some other Ohio talent that will be dropping here and there when we see fit. Definitely keep and eye out for what Lock and Key is doing. Thank you to anyone who has ever taken the time to listen to me or support me in anyway. I’m really trying to bring something out of the norm to relevance and it means the world to know others resonate with it. Please keep sharing positive vibes and lets grow and build something amazing together. Thank you especially to Ohio Streets!